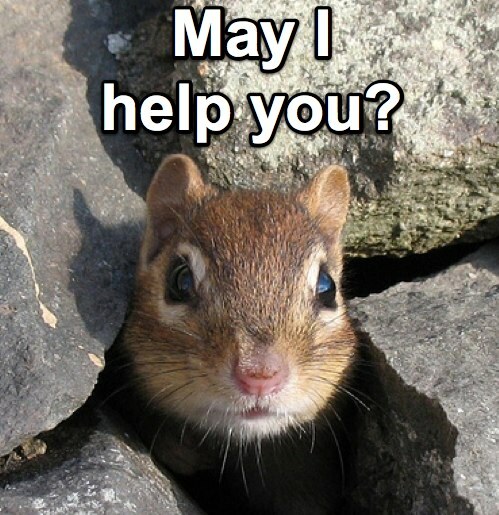 The chipmunks in our front yard created an underground tunnel system that rivals those of Vietnam in the 1970s. At first, it was only one or two of the fluffy little creatures, scurrying about. Now, it’s just plain insulting. I think they should start chipping in to pay the mortgage. We’ve noticed holes in the yard for months now, but the holes are getting bigger and more numerous. The final straw came yesterday when we noticed that they removed a rock from our stonewall by the sidewalk. Hubby set up the Havahart trap (have-a-heart) with peanut butter. I have a feeling that the little rodents will merely enjoy a fine meal, and leave the trap unlatched, laughing all the way back to the tunnels. 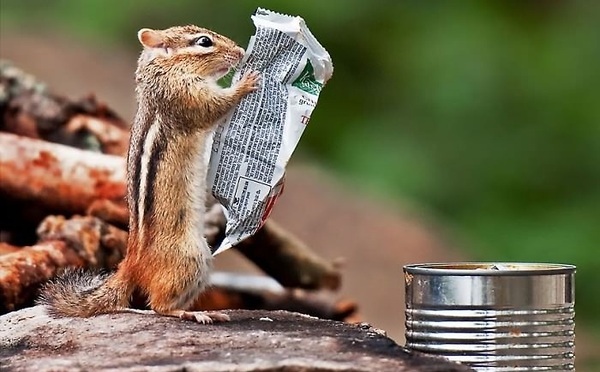 Catching up on the daily news. Getting to know one another better. 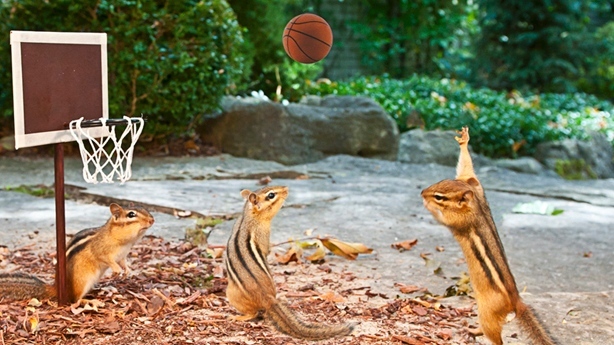 Playing a friendly game of hoops. My husband will be calling the Pest Control people to find out what we are able to do to rid our yard of these little guys. I don’t think they plan to leave anytime soon. 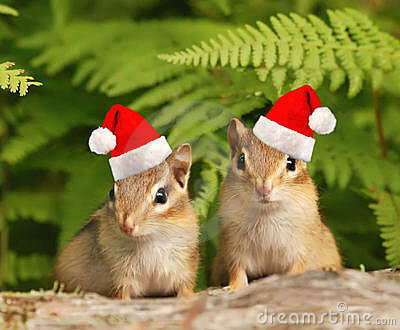 Last time I looked, they were getting ready for Christmas. Hilarious! We have the same problem with rabbits and their boroughs. I almost sunk into one and immediately thought of Alice in Wonderland. Thanks Mary. I started writing a blog on a deeper subject, but decided that was really more for personal use at this time–then I turned to the squirrels for inspiration! I have the same problem. Now they are eating a decorative flag…or using it to make a nest underground, the little pests! Terri, they have really taken over the front yard. Every time we go out, there are new holes. Hubby called the Pest control people. They will be here Tuesday for an E$timate. Hi, how do you get rid of squirrels? Do they get trapped or killed? Just curious. 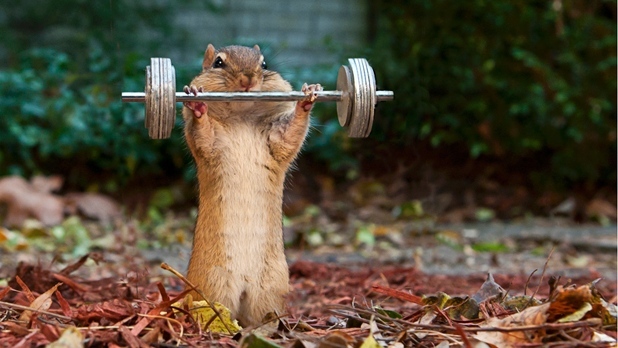 Did you make all these Photoshops of the squirels?? 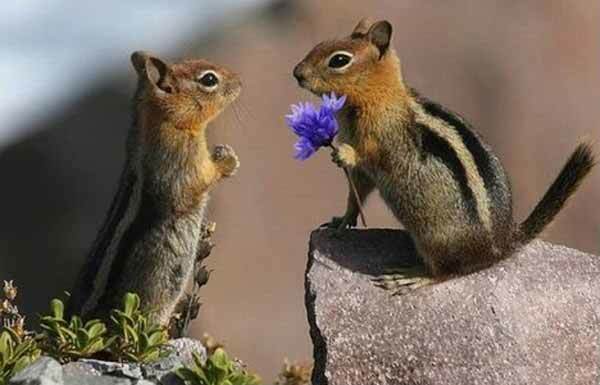 Hi Maria, We set traps for the chipmunks, they fell into a bucket of water and drown. We were not able to kill any squirrels, they seemed to be smarter. I found the pictures on “google” under “image”. I did not make the photoshops. There is also a big trap you can buy called Hav-a-heart that catches squirrels and does not hurt them, and then you can release them into a park. 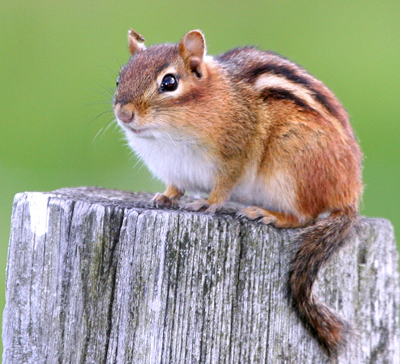 Is that the only way to hill the chipmunks? I mean, is that the only way to control the chipmunks? Well it was the cheapest way. A rodent company wanted $ 600.